It has been three days since Comic Con International came to a close. My “Con Hangover” or “Con-lag” or whatever term you like to use has been fixed. But as I go through all the photos, SWAG, and exclusives I still have a strong “high” from walking the exhibit hall floor or sitting through a panel in Hall H, even the feeling of being lemmings in a crowded line. 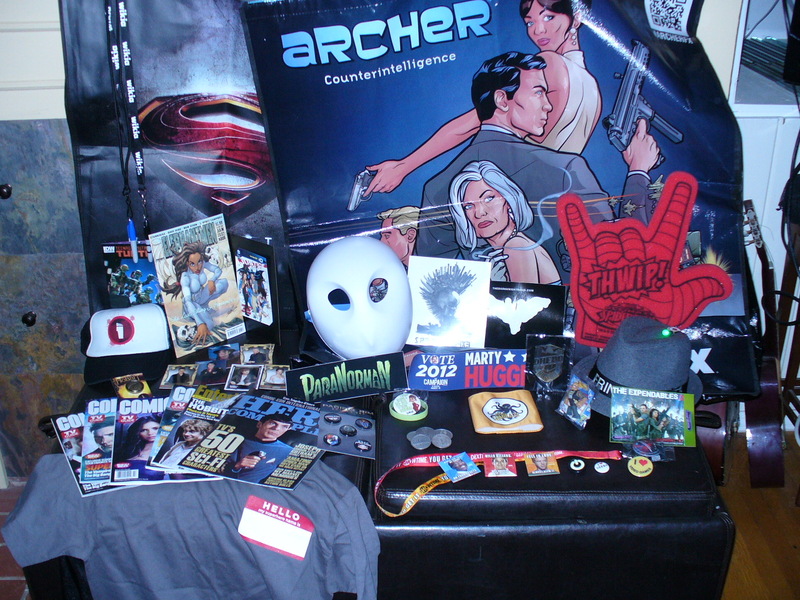 This year’s Con was bigger than ever and the SWAG & Exclusives were over the top. I would like to share some of my best of’s and worst of’s from the geek-a-palooza. After attending Preview Night I was worried that this year’s SWAG was going to be limited and minimal but as I walked the floor and Gaslamp District throughout the weekend, the pile of SWAG got bigger and bigger. show, Teenage Mutant Ninja Turtles made a big return to Comic Con. The Nickelodeon booth had buttons, posters, and exclusives featuring the mutants. Outside of the exhibit hall there was a truck outside taking votes for the Turtles and the Foot Clan. After voting fans would get a hat for the side they chose. My absolute favorite piece of SWAG was actually one I kept missing every time I went by the Lionsgate booth. 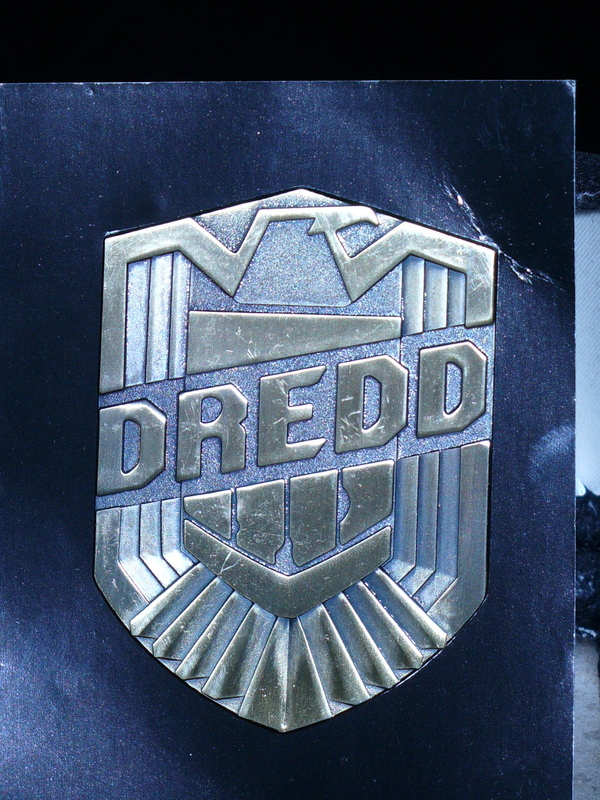 Luckily, one of my Con Safety Buddies, Paul, was able to grab me the replica badge from the upcoming Judge Dredd film. Its metal and perfect to wear to the midnight showing next month. The exclusives for Comic Con are posted online weeks before the actual event so that fans can start building up their funds to afford. What they should have been doing is preparing for the run …errr fast-paced walking… through the exhibit hall to get to the line to buy these precious items. Mattel and Hasbro are always the busiest and this year they both worked to alleviate the hassle by having pre-orders, offsite pickup, and time-stamped tickets for each day. Mattel had Batman, Death, Tow Mater, Knight Rider’s KITT, and Scooby Doo. Hasbro had a massive Star Wars collection, JEM doll, My Little Pony, Transformers and more. NECA had a replica PORTAL gun, the Comic Con documentary with exclusive Stan Lee and Harry Knowles (AintItCool.com) figurines. There were great products all around the room. Most attendees got what they want, a few missed their chance due to sell outs and lack of time. My Con Safety Buddies, Guy and Paul and I were able to spread out and we got almost everything we were looking for save for a few My Little Ponies. 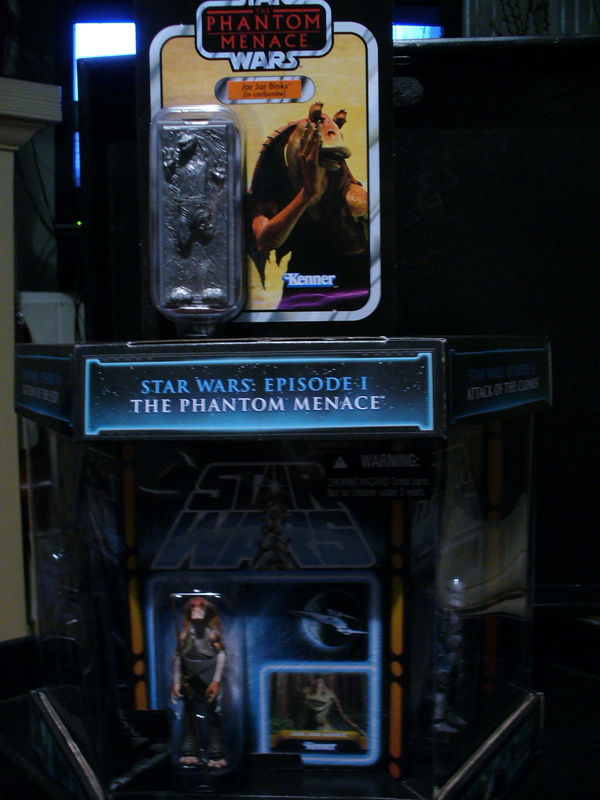 My favorite purchase was Hasbro’s Star Wars Collection featuring a figure from each of the films and a special limited edition Jar Jar Binks in Carbonite parody figure hidden in the middle of the boxed set. 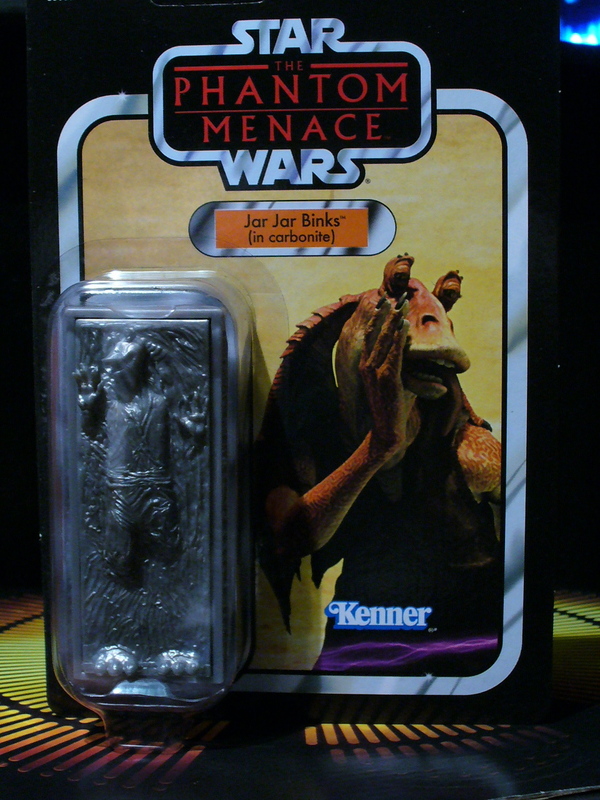 The parody toys are always really clever and highly sought after. In addition to SWAG and Exclusives there are plenty of other retail items to buy throughout the exhibit hall floor. Shirts, art prints, comic books, old action figures, sculptures, hats, and many other collectibles. In walking the floor end to end I was able to find a variety of great items to celebrate my fandom all year round. I was able to grab a couple prints, a couple tshirts and a tie. 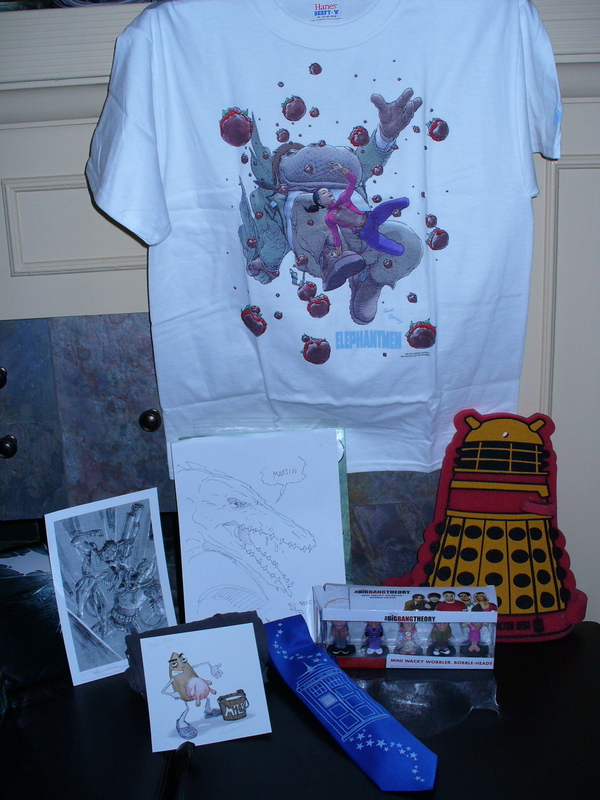 My friends also helped me to grab a little Doctor Who memento and some other prints. 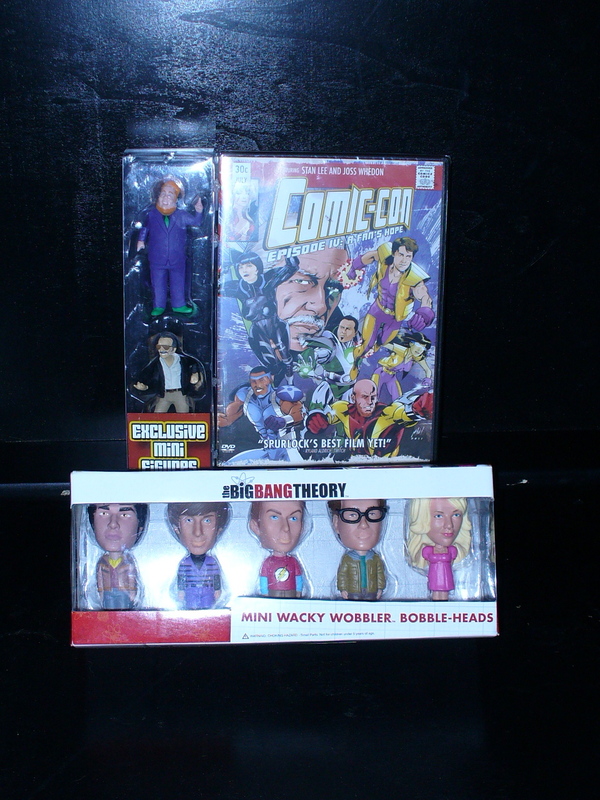 My favorite was a tie between the Big Bang Theory mini bobbleheads featuring the cast and the Comic Con Documentary DVD (the figurines were exclusive but the DVDs were available all over Con). Overall Comic Con was a blast, it always is no matter the hiccups and mistakes during the weekend. The first thing I have to say about the 2012 convention was that comic books did not feel like the central theme. Sure there were comic related panels and movies and SWAG but it was clearly not the main purpose of the convention. Having attended many smaller shows around the west coast that did focus on comic books, I missed that in San Diego. This year, Preview Night was nuts. There were so many people it was hard to get around, the vendors & exhibitors did not seem ready, and lines were cut off long before many fans had the chance to get the exclusives they wanted. If Preview Night is going to be so large than I think they just need to make another day of the Con, call it Day 0. Every year the events adds more attendees to handle the demand for the show. In the past those larger crowds led to longer lines, more cutting in line and less chances at SWAG. That being said, Comic Con International did a phenomenal job with organization, crowd control and establishing clear policies on how the convention will run. I was in Hall H three of the five days and was amazed how smooth I was let in each day; yes there were extended periods of waiting but overall there was less cutting, less crowding at the entrances and easier access to seats, bathrooms and food. Thanks to my extraordinary team of Con Saftey Buddies (as I call them): AJ, Guy, Jose, Paul and Vanessa, I was able to get into the panels I had hoped for, get SWAG, acquire exclusives and most importantly have a blast with my friends surrounded by many of the things we love. Comic Con makes my year every year and regardless of crowds, the smell of sweat, and a lack of sleep each night I would not trade the experience and time with my friends for anything else. If you were not able to make it to the convention this year, definitely try for passes in 2013. And heck, even if you do not get passes, still come down to San Diego because there is so much you can do to celebrate your fandom without having a badge. Until 2013, this is Martin Bright, signing off on coverage of Comic Con International 2012. 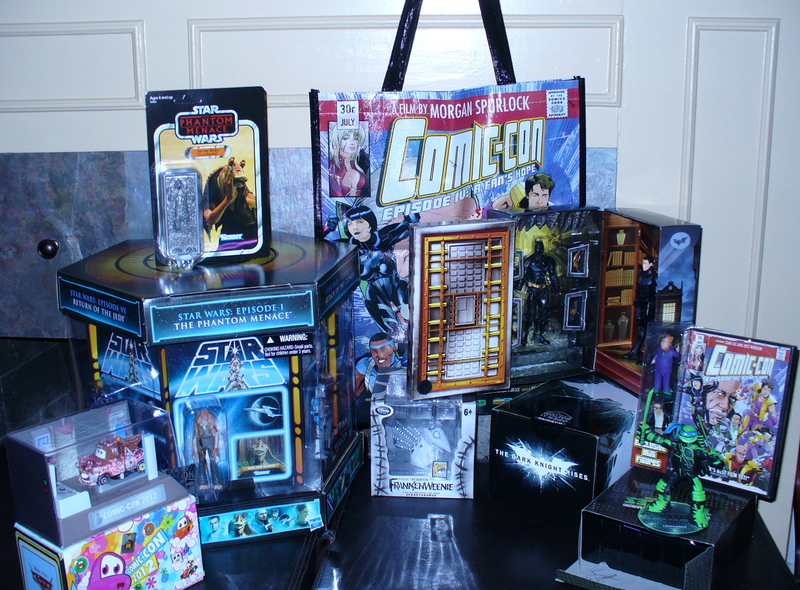 For more on Comic Con and a special contest, check out episode 100 of the PanelCast on www.ForbiddenPanel.com. And stay tuned to Forbidden Panel for more of my coverage in the world of comic books as well as other great stories on video games, movies, retail and all things geeky; nerdy; basically anything cool.